The first months of 2018 have been extremely positive and productive for LeadingAge Maryland. We have welcomed new members Baywoods of Annapolis, Edenwald and Hospice of the Chesapeake. New staff members Allison Ciborowski and Christen Ensor have hit the ground running. 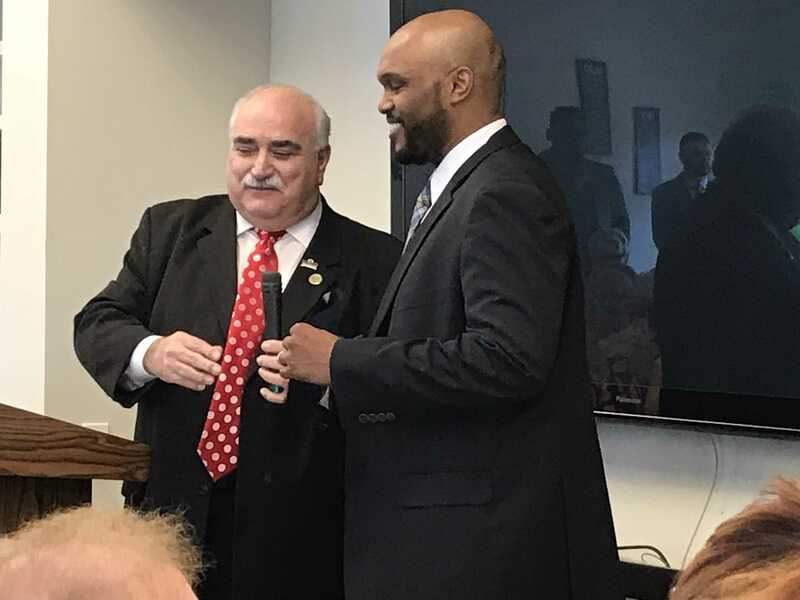 We had great advocacy success in the 2018 Maryland legislative session and hosted a Legislator Reception. Our Annual Conference was the biggest and best yet. Education, knowledge sharing and collective work is occurring through peer network forums, a training on the new skilled nursing survey process, and planning for many events, trainings, work sessions and webinars in the next few months. The first Leadership Academy Fellows completed their trainingand the second cohort has been selected. The Emerging Leaders program which is targeted to new supervisors/ managers is now accepting applications for the program beginning September 12. Members of LeadingAge DC, VA, OH, ME and NH now regularly join our Tuesday Stand-Up Calls. There is so much more - and we look forward to your involvement and ideas. Christen Ensor has recently joined the LeadingAge Maryland team as the new Communications Manager. She has over 15 years Marketing and Communications experience and holds a degree in Marketing and Master in Business Administration. She has a wealth of experience working with different nonprofits and is excited to lead the communications strategy. She looks forward to working with LeadingAge members and affiliates. She can be reached at censor@leadingagemaryland.org. We launched a petition to expand and protect affordable senior housing. This petition is part of our effort to engage and grow the Seniors Action Network. Please sign the petition yourselves and encourage your members to do so as well. Here is information you can cut and paste into your newsletter and social media networks. Tell Congress that we must invest more in affordable senior housing and reject the President’s proposed 22% cut to next year’s U.S. Department of Housing and Urban Development’s (HUD) budget. We need to be loud and clear that more affordable housing is needed and any cuts to funding that threaten the availability of quality housing for older adults is unacceptable. 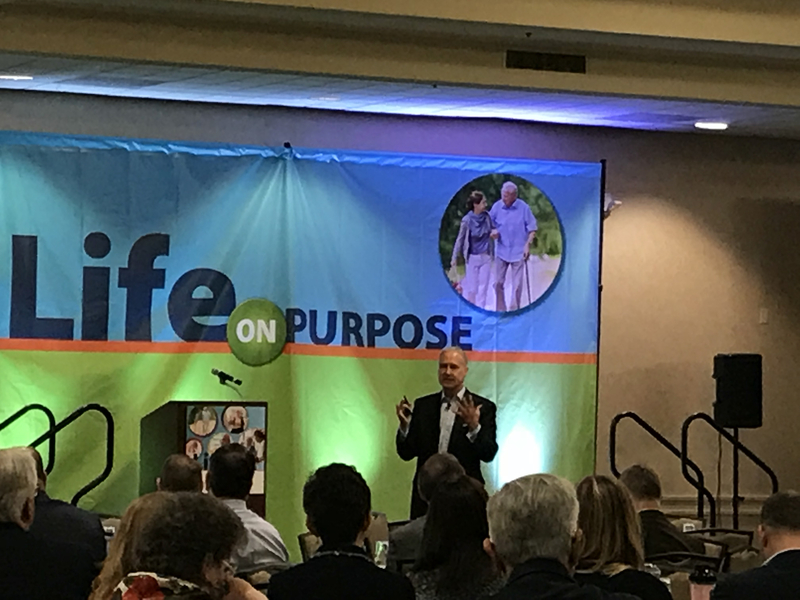 The LeadingAge Maryland Annual Conference took place on April 17 & 18, 2018 at Turf Valley Resort. The conference saw an increase of over 20% in attendees. The highlights included inspiring presentations by John Cochrane and Tiffany Manuel as well as many informative breakout sessions from industry members focusing on issues ranging from legal matters to trauma informed care. There were many opportunities to network and collaborate and motivate. Administrator Peer Networking Forum – March 7, Asbury Methodist Village. On March 7th, we convened our quarterly Administrator Peer Networking Forum. Individuals from Little Sisters of the Poor, Broadmead, Farhney-Keedy, and Asbury Methodist Village were in attendance. The day featured a discussion of recent survey experiences, products and programs that are working well, and a guest presentation by Rich Rigali of Assisted Rehab on the proposed RCS-1 payment reform. Our next meeting will be held Tuesday June 19 at Edenwald Retirement Community in Towson. We know they, too, will have a great experience! LeadingAge Maryland is pleased to offer Tuesday StandUp, a clinical learning opportunity, every other Tuesday at 10:00 am. The call is designed to be a narrowly focused, 15 minute learning experience, referencing a current clinical, regulatory or operational issue. The Tuesday StandUp Schedule is below.Dial 310-372-7549 and use pass code 505134 to join the call! To listen to recordings of past sessions, please click here. Guest speakers will address the following topics: Honoring autonomy of the individual and family wishes; Apps and solutions for elders and caregivers, and how to evaluate and select technology solutions. This inaugural meeting with convene dining directors and managers from across the state. Guest speakers will address the following topics: Overview of the "Money Follows the Person Program" by Rebecca Raggio of the Maryland Department of Health; Overview of the new revised SNFABN requirements by Maureen Kelly of LW Consulting. This inaugural meeting with convene service coordinators who work in affordable senior housing communities. Any service coordinator who works for a LeadingAge Maryland non-profit member organization is invited to attend. For more information or to RSVP, contact Allison Ciborowski at aciborowski@leadingagemaryland.orgor 240-750-9925. Many of you have questions, so Whiteford Taylor Preston will host a webinar for us on May 30, 2018 from 12:00 – 1:00PM outlining the details of complying with the new sick/safe leave law. Peter Guattery, a partner in the firm's Labor & Employment Law Practice Group, will be the presenter. There is no cost, but you must register here. We are grateful for this Gold Sponsor who is always willing to lend their expertise. Nine members of the firm presented legal updates at the Annual Conference and this webinar grows out of questions raised there. Please let us know if there are additional topics of interest. Two graduate students at the University of Maryland School of Music are serving as artists-in-residence at the Collington Continuing Care retirement Community, living alongside residents and filling their lives with the transformative power of music. To watch the video and learn more please visit: https://collington.kendal.org/. 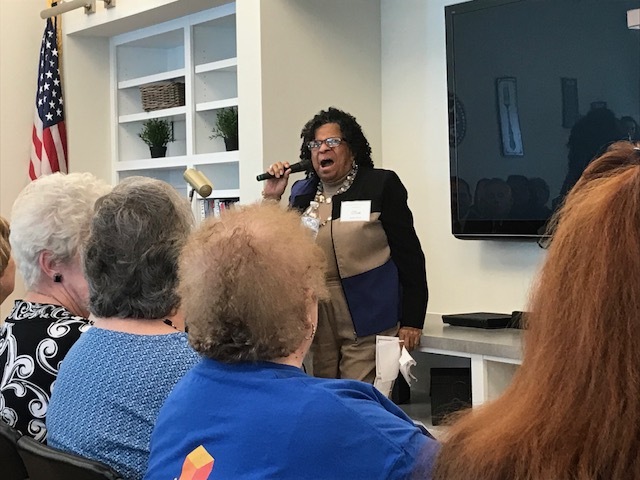 LeadingAge Maryland was honored to attend the building dedication of the newly remodeled Golden Ring Co-Op, a member of CSI Support and Development. This notable event was attended by co-op residents, CSI staff, community members and partners, and members of the state and local legislature. Fred Brown, President of the resident-run co-op, says that the newly renovated building has “helped us feel we are living with dignity. When we left our apartments, they felt like apartments. Now we feel we are living in new homes.” Resident Annie Ring proclaimed, “I love this place. I’m sorry you all don’t live here!”. The beautifully appointed community living areas and renovated apartments were designed by LeadingAge Maryland business member Hord Caplan Macht, and built by the Baltimore-based Southway Builders, Incorporated. LeadingAge Maryland is proud to have CSI as a member, and thanks them for their dedication to providing homes and fostering community for older adults across the State. To learn more about CSI and their work, please click here:http://www.csi.coop/en/component/mtree/MD/baltimore. CSI Support and Development also received a grant from Weinberg to have service coordinators in every one of their Maryland Communities. Stephanie S. Kessler has earned the Certified HIPAA Professional designation. Kessler is a partner at RKL, a nationally recognized Senior Living Services Consulting Group. Congratulations to Phillip Burkholder for becoming the Executive Director of Integrace, Fairhaven in February. DID YOU KNOW?LeadingAge Maryland maintains a Job Board on our website and posts jobs free of charge to members. To post a job, please contact Christen Ensor at censor@leadingagemaryland.org. Click here to see current job postings.